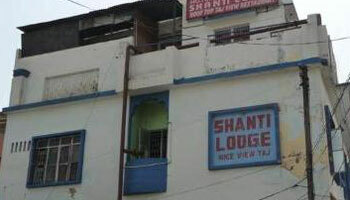 HOTEL SHANTI LODGE situated in close proximity of the world famous Taj Mahal is a Budget Hotel with all modern amenities. Enjoy your vacations by relaxing in our comfortable Rooms for take your breakfast at our Roof Top Restaurant with a stunning view of Taj Mahal. Currency Exchange, Travel Counter, Breakfast Services, Airport Transportation, Parking, Security Guard, Room Service, Laundry Facilities, Doctor on Call, Backup Generator. DVD Player, Cable/Satellite TV, Attached Bathroom, Toothbrush/Razor on Request, Iron/Ironing Board, Air Conditioning Room, House Keeping, Wakeup Calls, H/C Water.